32 Your sons and your daughters shall be given to another people, and your eyes shall look and fail with longing for them all day long; and there shall be no strength in your hand. While trolling through internet sites, I came across this article about a 1500 year old bible that was recently discovered when some smugglers were caught. This new “bible” had some interesting things in it (note I have not actually read this bible) according to this article. Several things caught attention. According to this “bible”, Yahshuah, was not actually crucified, but rather ascended into Heaven, ALIVE. Another interesting piece is supposedly, Yahshuah, speaks on the birth on Muhammad. This discovery turns modern Christianity on its head! This bible, dating as far back as 2,000 years, details the Gospel of Barnabas, a disciple of Jesus Christ, which shows that Jesus wasn’t actually crucified and doesn’t claim him to be the son of God, but instead a prophet. The book charges that Apostle Paul was “The Impostor.” The story is completely different. In the Book of Barnabas, Jesus wasn’t crucified, but ascended to heaven alive, and Judas Iscariot was crucified instead. The National Turk issued a report saying that the bible was seized from smugglers is a Mediterranean operation. The report states the gang was charged with smuggling a variety of things, such as antiques, illegal excavations and even explosives. The book is valued at around $28 million. That’s quite the find! Experts and Authorities in Tehran insist that the book is authentic. 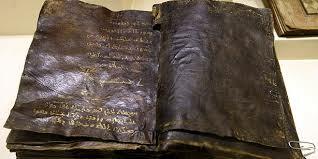 It’s written in gold lettering on loosely tied leather in Aramaic, the language of Christ. The Ebola virus is spreading and no one in any position of authority is releasing information to the public about how serious of a contagion this is. It was just a few weeks ago that the CDC and mainstream media claimed it wouldn’t make it to U.S. shores, but as of this morning, reports are flowing in from all over the country from hospitals that have admitted patients who recently traveled to Africa and are showing possible symptoms of the deadly virus. In Nigeria, where there have only been a couple of deaths reported officially, the medical community has formally requested help in the form of experimental serums from the United States, suggesting things are much worse there than are being reported. Moreover, the World Health Organization reports an explosion in confirmed cases over the last 48 hours. An analysis of confirmed cases from Joshua Krause at The Daily Sheeple suggests that, while the virus almost died out back in April, it is now back with a vengeance and growing at a seemingly exponential rate. 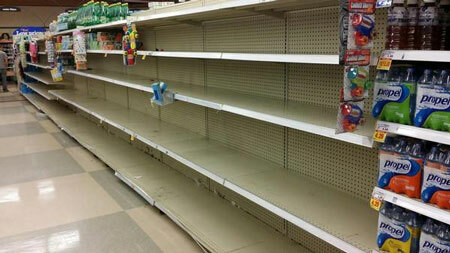 Should even one single case pop up in a random U.S. city, that narrative will fall apart instantly. If someone in Georgia, Ohio, New York or any other state checked themselves into a hospital and are found to be infected with Ebola it will prove without a shadow of a doubt that all CDC containment efforts have failed. In such an instance where Ebola is found to be in the “wild” anywhere in the continental United States you can be certain that panic will follow. 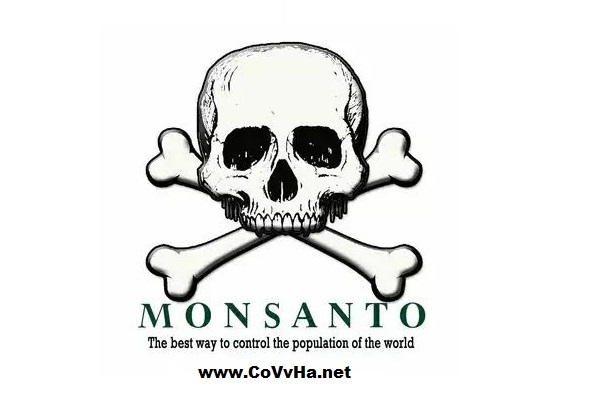 Monsanto Invests In Ebola Virus With D.O.D. It seems that Monsanto and the DOD have teamed up to invest in an Ebola virus treatment company. Monsanto, the company that has given us Agent Orange, Roundup pesticide, and GMO food, is now working to give us an Ebola vaccine. What is Monsanto’s gain one must ask. The deal is, the seed money Monsanto will contribute begins at $1.5 million. The value of the deal has the potential to grow to an estimated $86 million dollars. Fox also said, “The Defense Department has long had a hand in researching infectious diseases, including Ebola. During much of the Cold War period this served two purposes: to keep abreast of diseases that could limit the effectiveness of troops deployed abroad and to be prepared if biological agents were used as weapons.” It was also stated that the U.S. military currently has no biological weapons program. But not to worry, a new player has entered the ring. 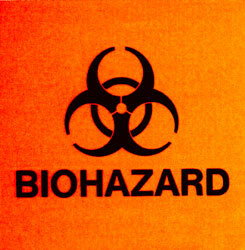 It seems that Monsanto and the DOD have teamed up to invest in an Ebola virus treatment company. Monsanto, the company that has given us Agent Orange, Roundup pesticide, and GMO food, is now working to give us an Ebola vaccine. What is Monsanto’s gain one must ask. The deal is, the seed money Monsanto will contribute begins at $1.5 million. The value of the deal has the potential to grow to an estimated $86 million dollars. The company’s name is Tekmira Pharmaceuticals Corporation (TKMR) (TKM.TO), a leading developer of RNA interference (RNAi) therapeutics. 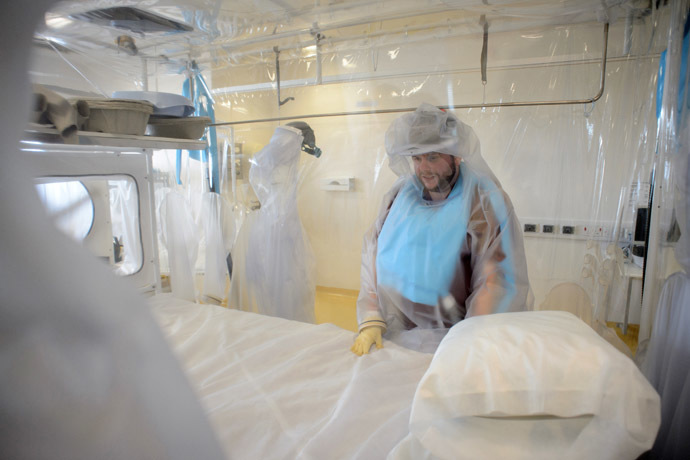 “TKM-Ebola, an anti-Ebola virus RNAi therapeutic, is being developed under a $140 million contract with the U.S. Department of Defense’s Medical Countermeasure Systems BioDefense Therapeutics (MCS-BDTX) Joint Product Management Office”. That’s a pretty sweet deal by anyone’s calculations. August 9, 2014 peanutbuttersunrise Comments Off on Monsanto Invests In Ebola Virus With D.O.D. “You know that there are rogue states. And here’s the thing, I can’t guarantee that some country isn’t preparing something of the kind,” he added.